Bukhara, sited on the remains of a Buddhist monastery, was to become one of Islam’s most important places during the Middle Ages. 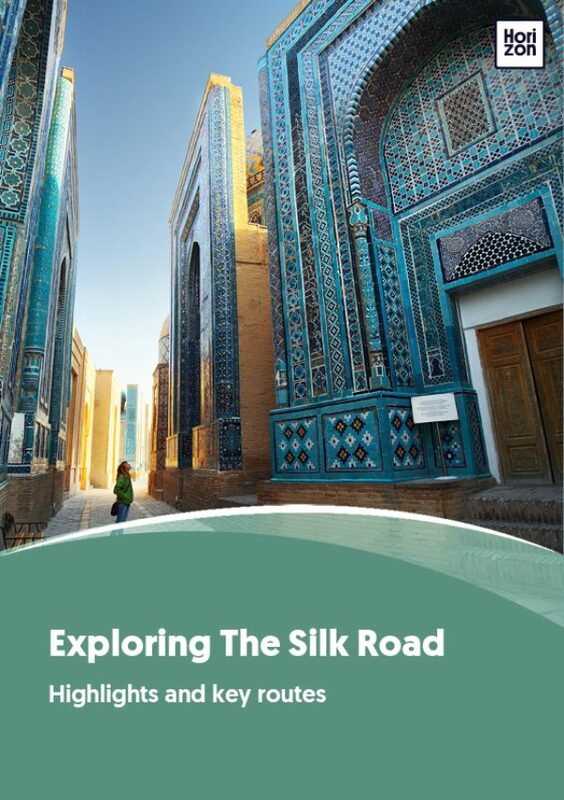 At over 2,000 years old, it is the most complete example of a medieval city in Central Asia, with an urban fabric that seems to have changed little over the centuries. Hearing the call to prayer glide over the azure domes of the Po-i Kalyan is the stuff of Orientalist fantasies. The hundreds of minarets, mosques and madrassas of Bukhara are not simply brick masterpieces--they are masonry magic. Khiva’s townscape is perhaps more impressive still. Its mud-brick fortress walls enclose a perfectly preserved picture of the past of the glorious empire of Khorezm. Its fortunes shrunk to but a small slave-trading Khanate as its life-blood, the Amu Darya river, shifted its course. Visitors will need several days to see all of the monuments in central Bukhara. Sites of particular interest include the famous tomb of Ismail Samani, a masterpiece of 10th-century Muslim architecture, and a large number of 17th-century madrasas. Show stoppers are the mind-blowing perfection of the Kalyan minaret and the ceramic detail on the twinned mosques embracing her. A visit to a traditional hammam (a steam bath similar to Turkish baths), followed by an afternoon of sipping green tea under the shade of a large plane tree, is the perfect way to relax from the architectural overload. Khiva’s Itchan Khala is smaller than Bukhara, and can be visited comfortably in a day. Side trips from Khiva include the sad remains of the Aral Sea and the ruins of former oasis towns along the Amu Darya. Bukhara was once called the “Dome of Islam” due to its importance for Islamic scholarship. Nowadays most of the madrassas, a type of Islamic religious school, are closed or converted to museums, as the government is fearful of religion’s power to oppose its oppressive politics. Some of the greatest minds of the Middle Ages were born near here. The works of Avicenna (medicine), Al-Khwarizmi (algebra) and Al-Biruni (all-round genius) synthesised Western and Eastern knowledge and prepared the ground for the European Renaissance 500 years later. Bukhara’s Ark holds the infamous Bug Pit (thankfully no longer vermin-infested), where the Emir held his unfortunate prisoners. Two famous ‘residents’ included the British East India Company’s Charles Stoddart and Arthur Conolly, who were beheaded on charges of spying in 1842. Bukhara is connected by high-speed train to Samarkand (two hours) and Tashkent (four hours). Getting from Bukhara to Khiva still involves a long six hour drive through the desert. Most tour operators avoid this by offering a night train from Samarkand (12 hours) or flights from and to Tashkent (45 minutes). Bukhara and Khiva both have compact, car-free old towns that are a delight to walk--getting around is not an issue.